Releasing the book Blogging from Home, I considered to be one of my highlights this year. Being able to publish a book again after 4 years since the last one felt great. It also challenged me to push things further and make up for anything that was not in the book through other means. 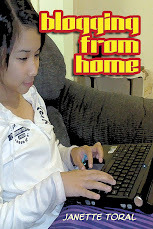 One of the things I intend to complete before this year is over is the Blogging from Home Online Workshop. Last month, I finally got the chance to introduce Blogging from Home to the Adelaide bloggers and social media community. Who would have thought that such get-together would also got me featured in this great Christmas video by Geoffrey Kwitko. He also asked me to give a pitch as well this January 16 to the Adelaide Startup Club and will see if there will be opportunities to arise as a result of that. At the moment, my schedule is quite full with the Busby SEO Test competition. It is quite a challenge as winning the competition became equally important in terms of making the blog site grow in the process. Everyday, I've been monitoring the site and it never fails to excite me as to how it is evolving. It is a blog masterpiece in the making. I hope to be able to talk about it someday (content development, traffic generation, and link building) and use it as a case study. I'm planning to create a blogroll for this site. For those of you who will add Busby SEO Test to your blogroll up to February 2, I will be more than glad to reciprocate it here too. I hope you can also give us a good luck shout out in your blog. I talked about getting a blog hosting service in my column today. In addition to the criteria I mentioned in it, another reason why you will need one is if you have opted to run a blog using WordPress as your platform and use it for commercial purposes such as putting advertisement, among others. 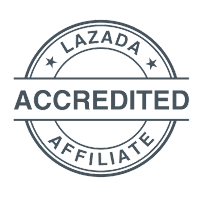 If you know of other providers, that you have tried for your blog, feel free to suggest here.